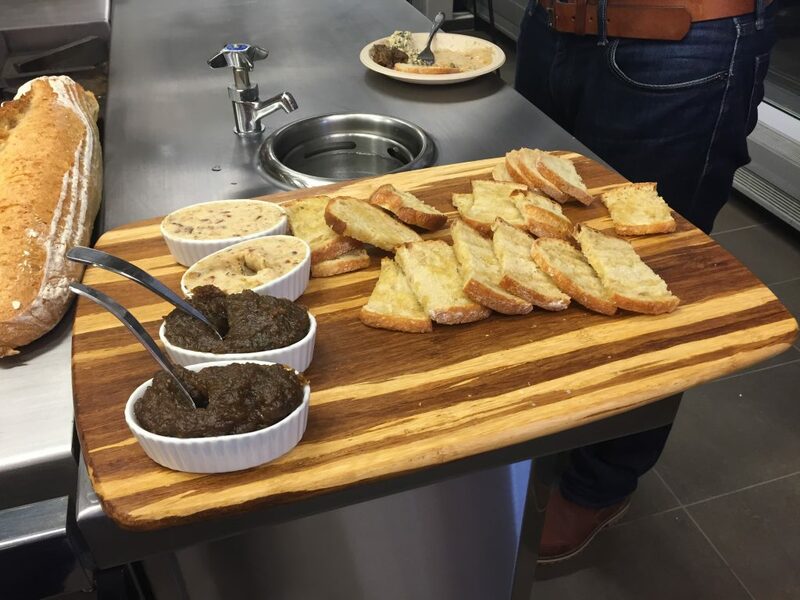 As we walked into the kitchen, our senses came alive: the smell of freshly baked bread, the shine of stainless steel appliances, the smile of Chef Daniel Marciani, and the sight of risotto, chocolate quinoa desserts and caramelized spread. We felt like we had just walked into Babette’s Feast. 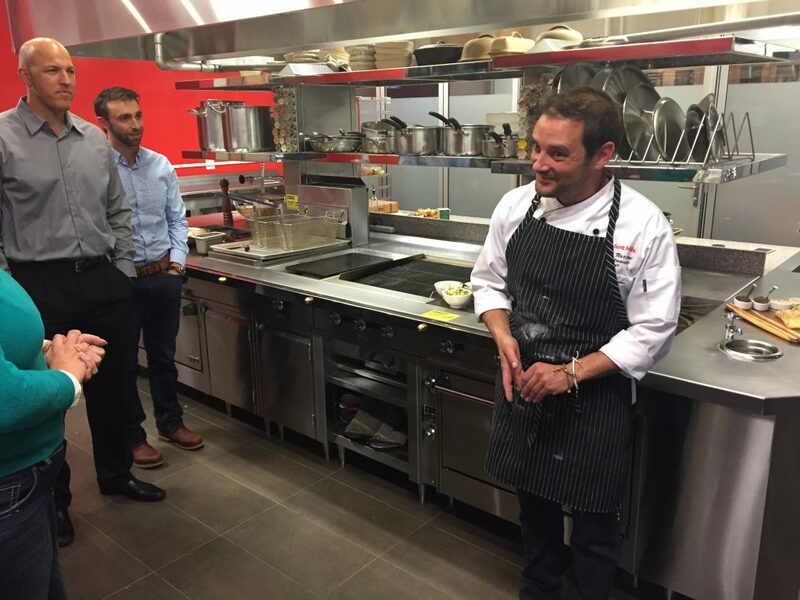 The food was the unexpected capstone of an evening the 5280 Fellows spent with Dan Dye, CEO of Ardent Mills, the largest flour producer in the country. 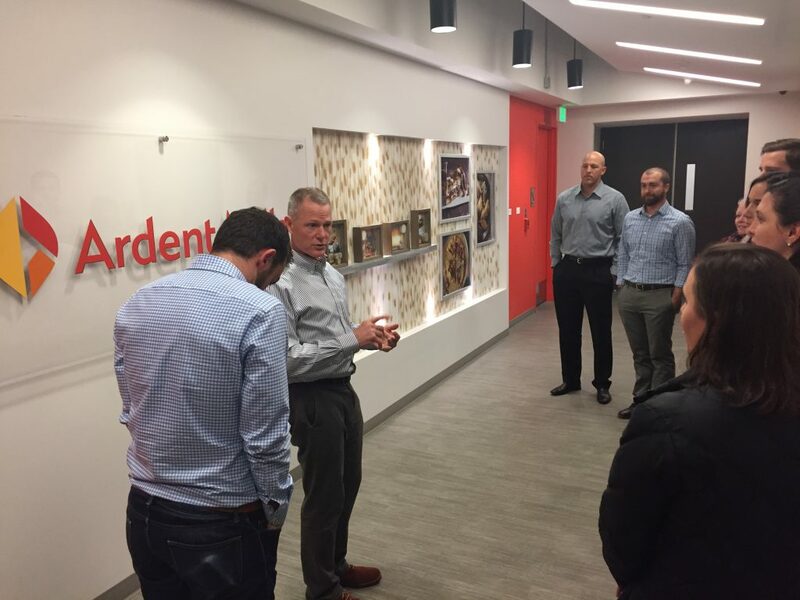 Ardent Mills, a new company that was spun off from ConAgra, CHS, and Cargill just over two and a half years ago, has 42 production facilities in the US, over 2,000 employees, and – get this – serves an estimated 100 million per day with their products. Chances are, if you ate any kind of bread product today, you are being nourished by Ardent Mills. 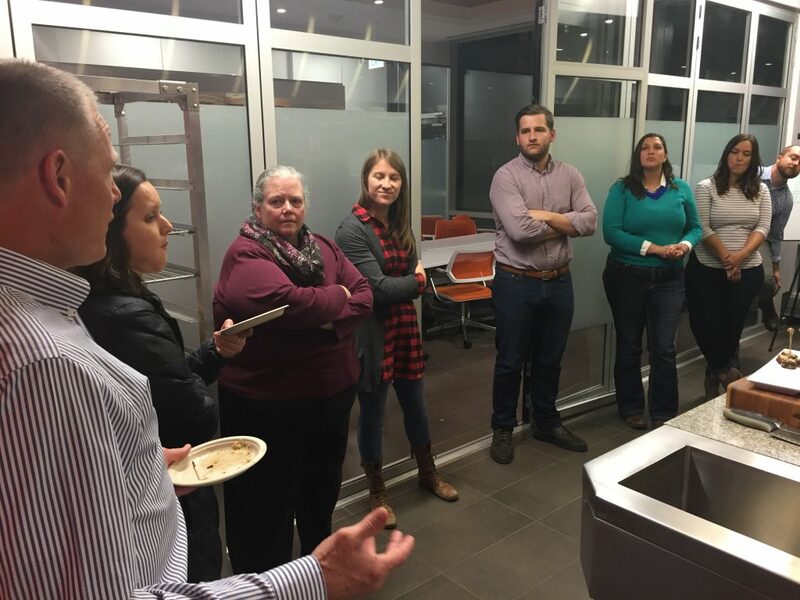 As we gathered around the conference room to hear Dan’s story, he candidly shared about life as the leader of a $4-billion-year company: the advent of his career at Cargill, the transition to leadership over a team of commodities traders in Winnipeg, and the values he uses as guideposts for everything he does. Values, he said, are at the core of his leadership. Trust. Serving. Simplicity. Safety. For Dye, they’re more than words: they form the heart of the company he leads – and while not explicitly or exclusively Christian, each of them are endowed with deep spiritual value. 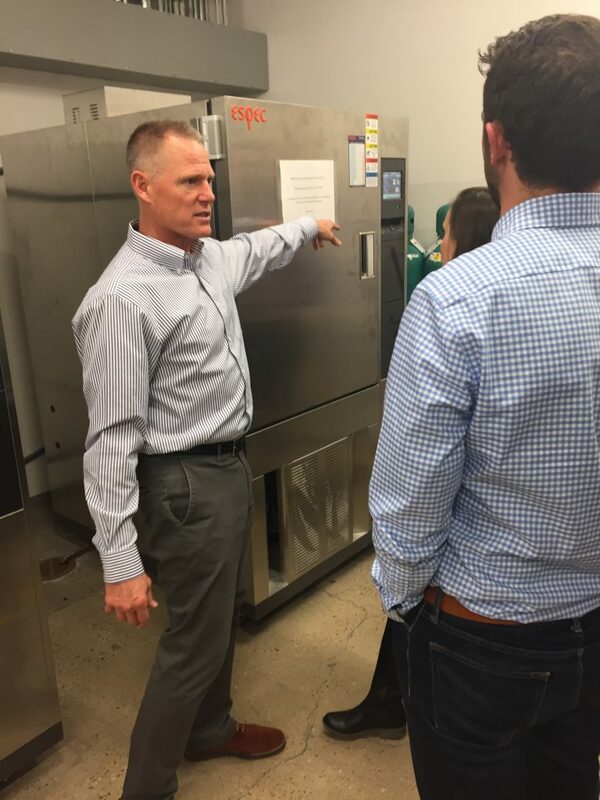 “Though I don’t always say to people, ‘These are biblical values,’ to me each value is Biblically rooted, and the Bible informs me on how to lead a company, and how I can help best serve both customers and employees,” said Dye. The final value used to be just “We Will Win,” believing that profit is inherently good as it creates the opportunity to serve more customers and hire more employees. But he added “The Right Way” after observing the Volkswagen emissions scandal in 2015, in which the German automaker intentionally mislead environmental authorities to pass emissions standards. To Dye, doing business “the right way” means profit must be made ethically, upholding the highest standards of integrity. Dye also shared about the centrality of his faith to his work. “I remember when I was a kid, my dad would take me aside before a basketball game, and give me some clear advice: keep your cool, do your best, honor God. I’ve always kept that advice close to my heart.” Through both his father and early career mentors at Cargill, who encouraged him to keep Christ at the center of his life, role models profoundly impacted Dye’s career trajectory. The Ardent Mills vision of “Nourishing What’s Next” has special meaning for Dye. Bread is a central metaphor in the Scriptures: Jesus is the bread of life; the kingdom of God is like yeast that works its way through dough; Jesus commands his followers to remember his death through drinking of wine and eating bread. As Dan Dye leads a company that is nourishing the world – quite literally – he also strives to nourish the spirits of the customers, employees and communities Ardent Mills serves each day. This article first appeared on the Theology of Business Blog at denverinstitute.org.